A pair of 22-year-old drivers from Burnaby each had their rides impounded this morning, after being caught driving at excessive speed through Maple Ridge. Laser equipment was activated and it showed both cars to be travelling 138 km/h in a marked 80 km/h zone. Both drivers were stopped for excessive speed and the cars were immediately impounded for a minimum of seven days. Each of the drivers received fines of $368, 3 points on their respective driving records. 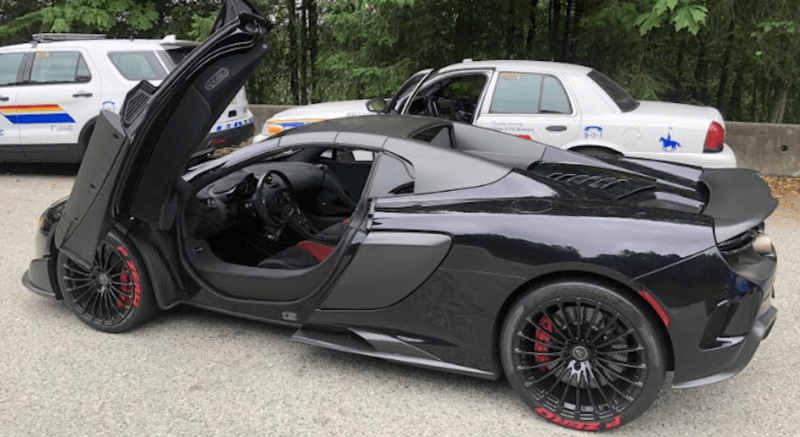 The driver of the Black McLaren, a 22-year-old Burnaby resident, is an `N` driver. 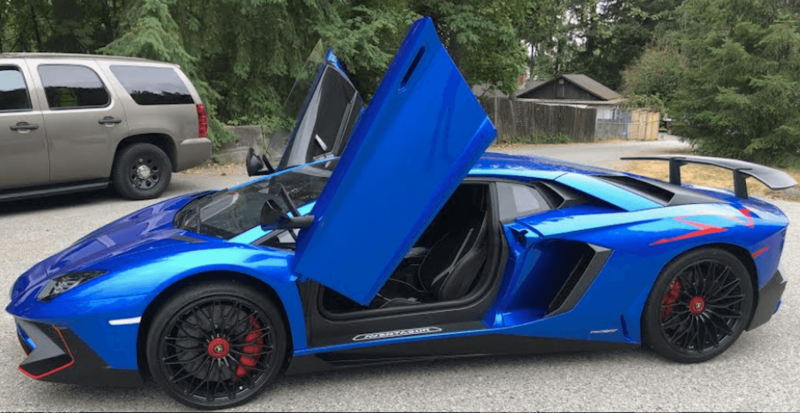 The driver of the Blue Lamborghini is a 22-year-old Burnaby resident. Both men have previously been served with excessive speeding infractions and fines before today’s incident. One of the cars was also found to be equipped with a radar detector. The traffic investigation revealed that both men were on their way to Mission Raceway for a planned private track event when they were stopped. Police said an incident report will also be forwarded to the Superintendent of Motor Vehicles for further review.